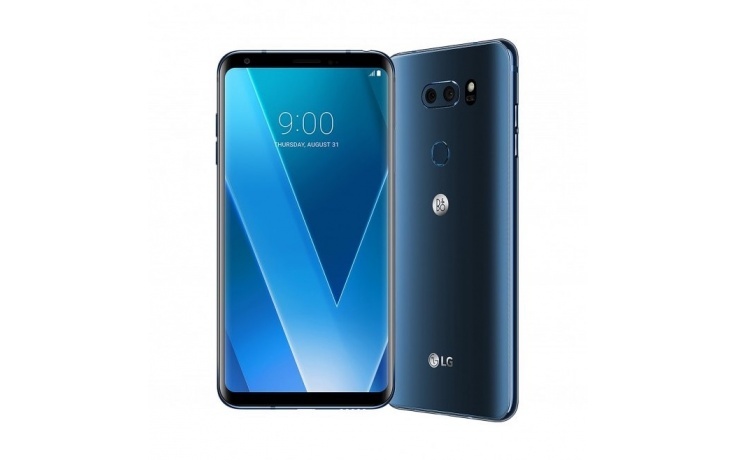 Unlike its predecessors the LG V30+ is much smaller in dimension and has an all-glass design, with 6-inch QHD P-OLED Display with 2:1 screen aspect ratio in a smaller, sturdy military grade 810G certified Metal frame. Perfect combination of stealth and beauty. 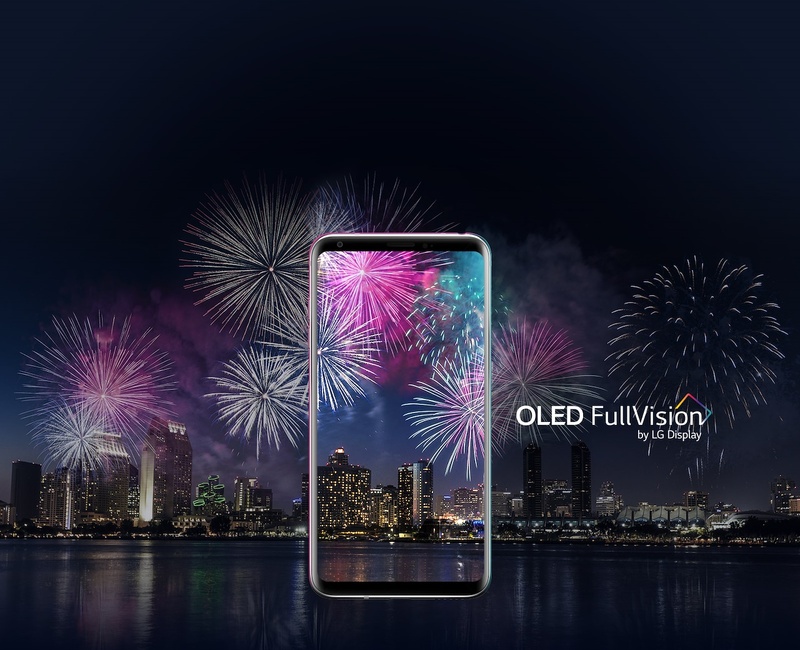 The Dolby Vision/HDR 10 Compliant OLED display on LG V30+ incorporates plastic for higher flexibility and better colour accuracy. Combined with FullVision technology viewing experience on the 6-inch panel is absolute treat. Also, the overall smaller dimensions results in comfortable grip and comfort of using with one hand. 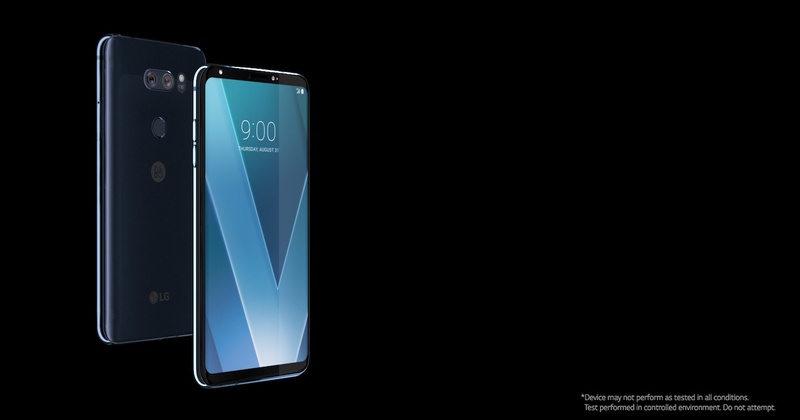 LG V30+ features the widest aperture lens on smartphone. 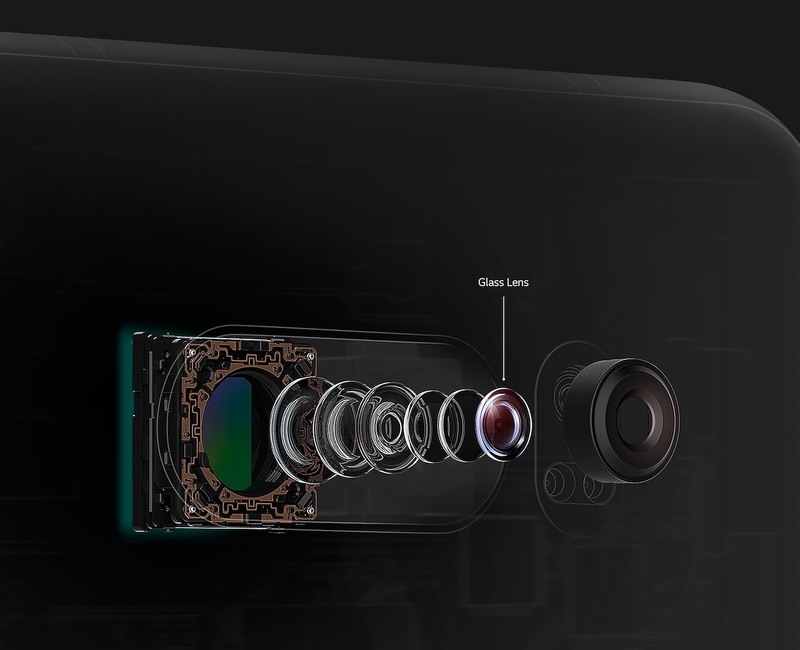 The f/1.6 aperture glass lens captures more light, combined with Laser and Phase Detection Autofocus and Stabilisation you can capture amazing shots irrespective of the lighting conditions. 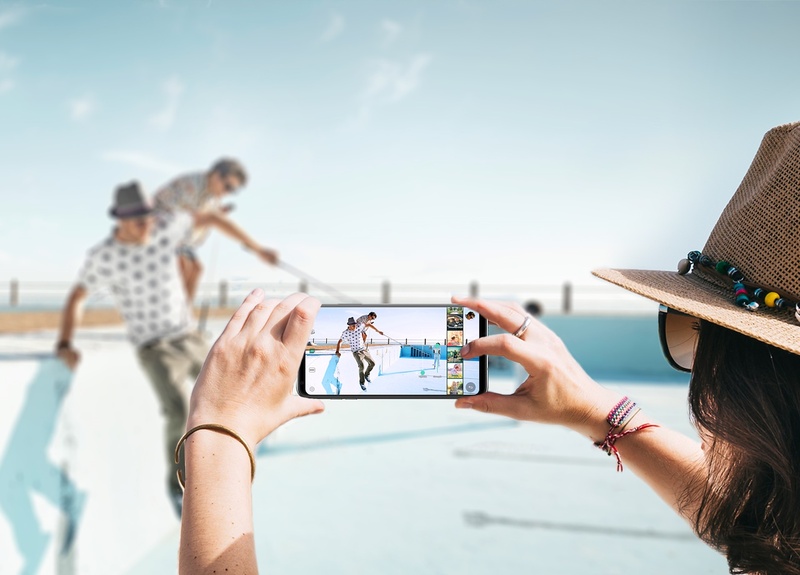 The LG V30+ features a Cine Video Mode, which comes preloaded with 15 Cine effects fine tunes by movie colourists. 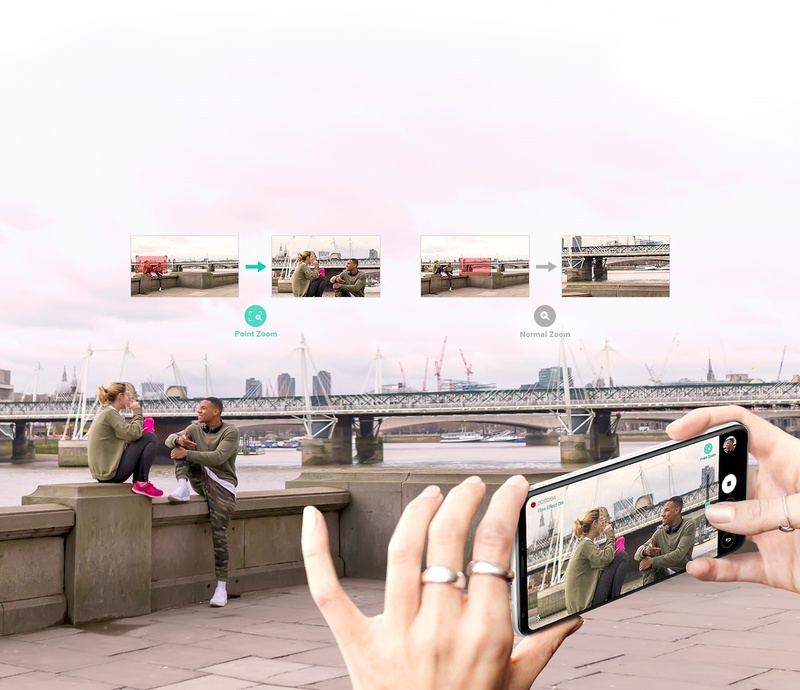 This mode allows you to shoot and create videos just like a real film. It also allows you to shoot in flat profile and post process the video to your own linking. 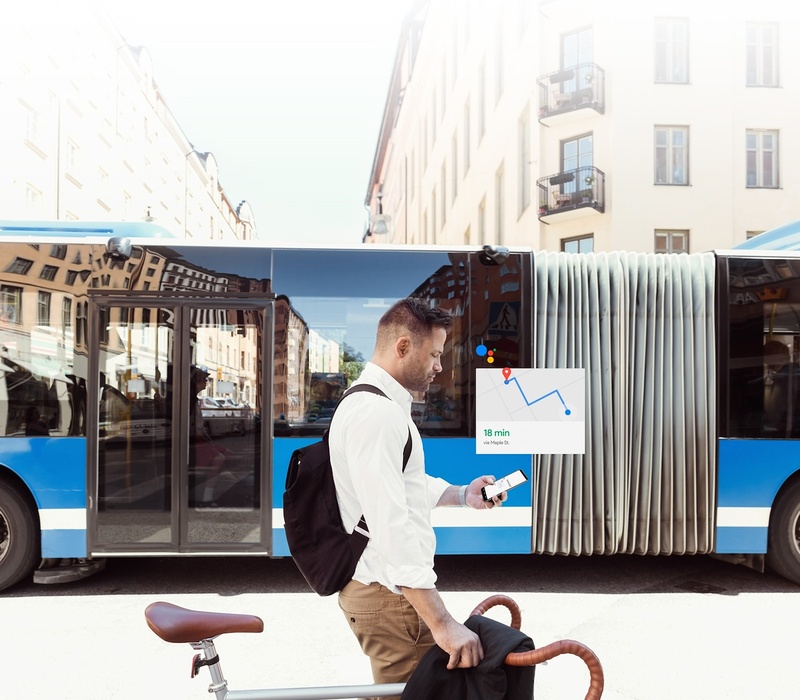 Another neat feature is Point Zoom, while shooting a video you can tap and zoom in on a Particular portion of the frame and use onscreen slider to zoom with varying speed. You can now shoot like a professional movie cinematographer. 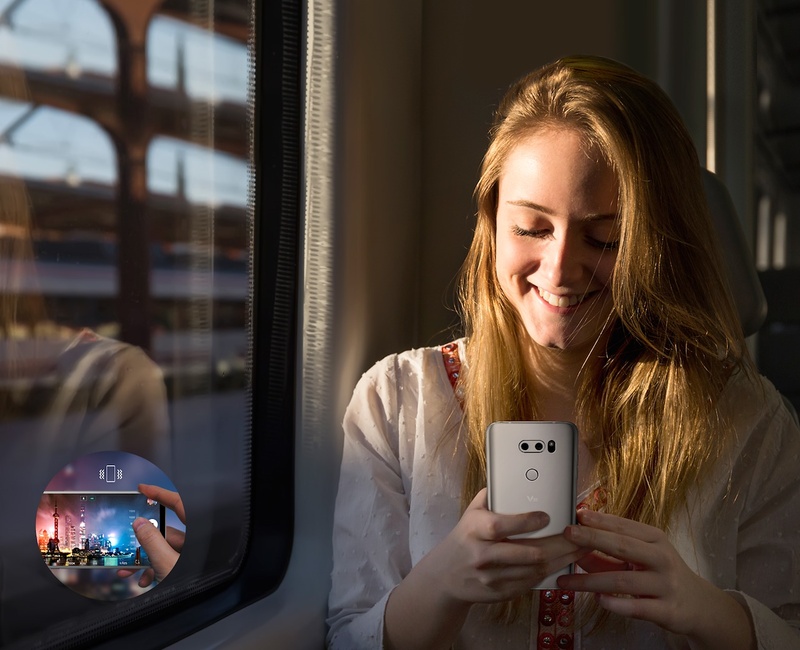 The 13MP wide angel camera on the LG V30+ has been upgraded over its predecessors with an f/1.9 lens capture more light as well as less image distortion. The transition from normal shooting mode to wide angle mode is as effortless as ever and overall results in improved quality of images and videos. Also, you can capture more with wide angel Front facing Camera. 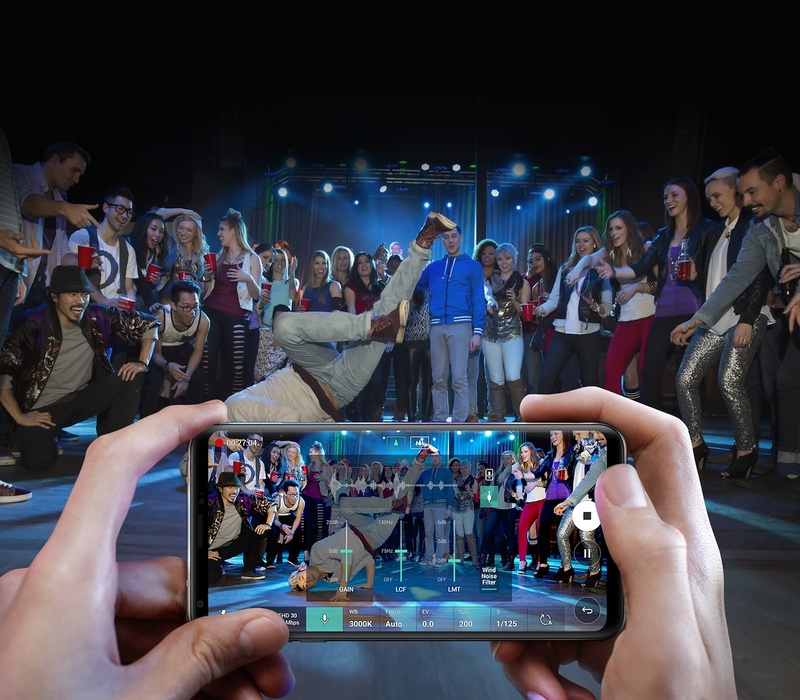 You can capture videos with exceptional audio quality on LG V30+ using the HD Audio Recording App. It features 2 mics for directional audio recording. In Concert Mode, you can record clear audio even in loud environment and in Studio Mode you record voice over an Audio file. The quality is top notch with 24-bit audio recording. 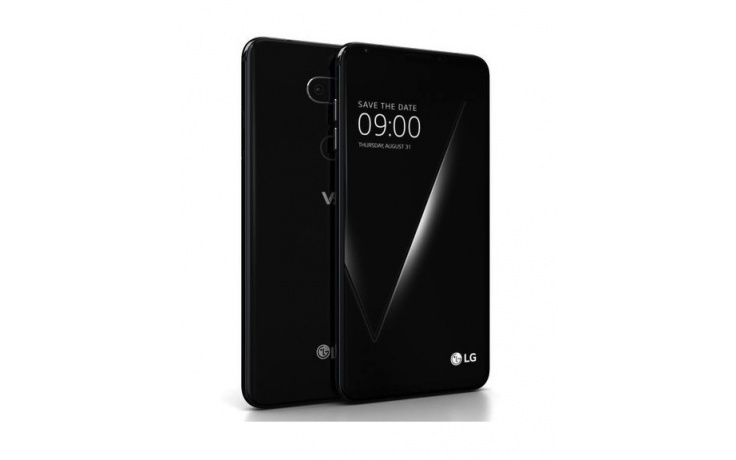 IThe LG V30+ features a Hi-Fi Quad DAC and given that the smartphone is B&O play certified, the audio output is stellar. 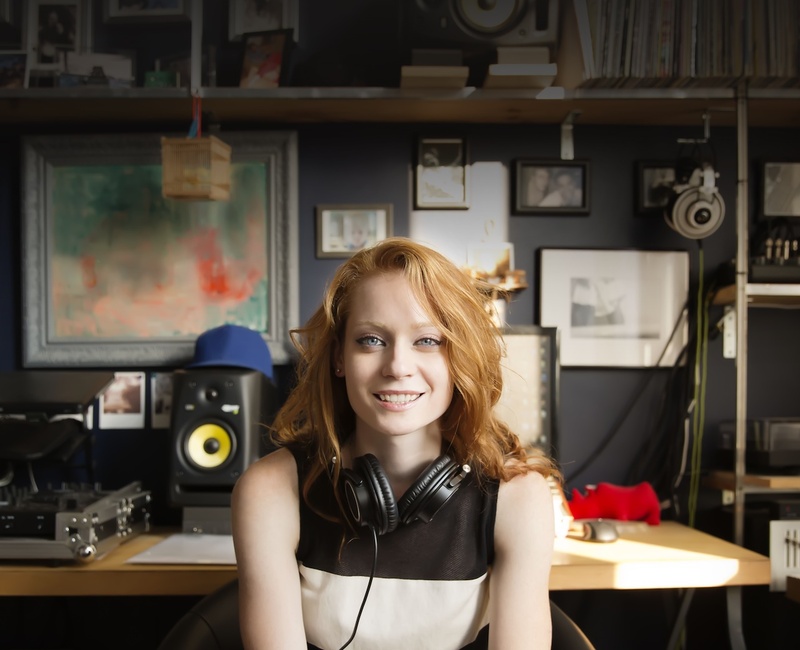 A perfect companion for Audio enthusiasts. 5 band equalizers on LG V30+ has manual controls on the LG Music player with QuadBeat Setting which allows you to pre-set or customise your music according to your listening preference. There are digital filters too for changing the sound characteristics and you can also set the volume for the left and right channels independently. 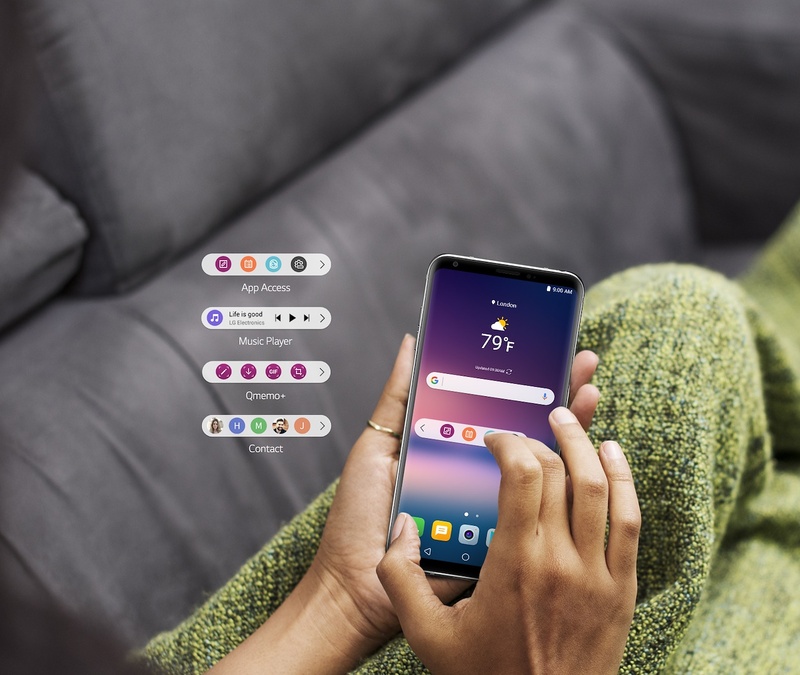 The LG V30+ offers multiple options to unlock the phone for convenience security of users. 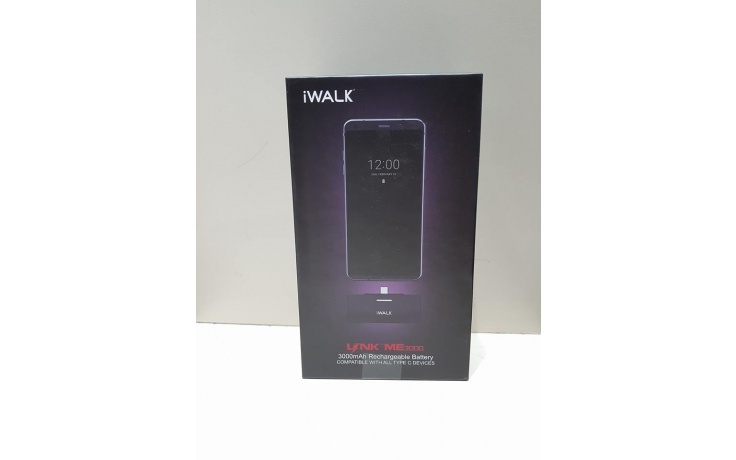 A Fingerprint sensor at the rear which is super responsive, an improved facial recognition technology and an all new Voice Recognition Technology wherein you could register your speech/voice pattern to setup password or keyword and it would respond only to your voice to unlock. 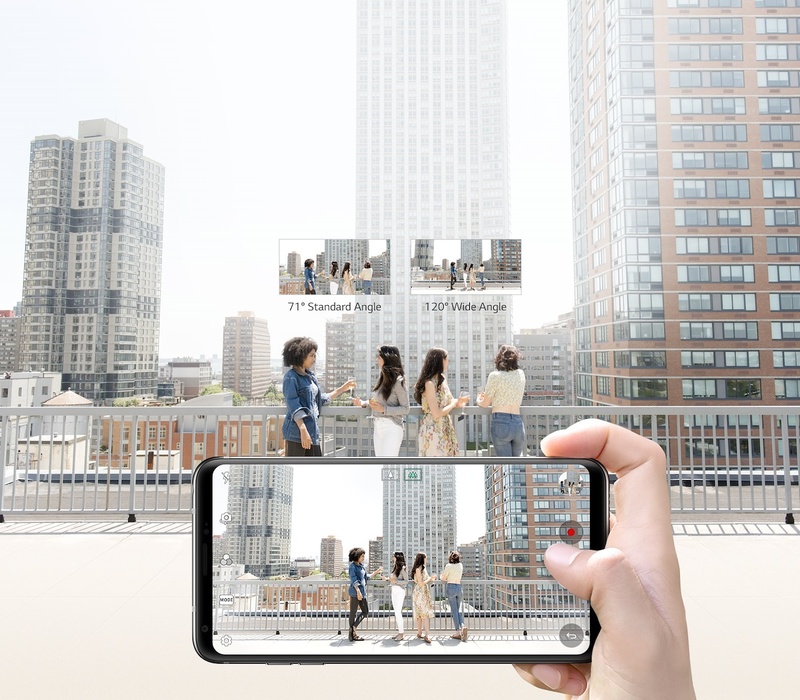 Unlike a static the secondary display on its predecessors the LG V30+ features a Floating Bar which can be moved and placed anywhere across the screen. You can customise and dock your favourite apps like contacts, music app, notifications etc. and access them instantly. The LG V30+ has an enhanced tactile haptic engine which is customisable and provides a unique and refined user experience. For example, when you click the shutter button to take a picture the vibration feedback matches to the Click response of physical button a DSLR camera, or when you toggle a on/off button in the settings it feels similar to like a mechanical button. The Google Assistant as such is has been improving the quality interaction with the smartphone providing us access to and enabling tasks for multiple features and function simply by using voice command. 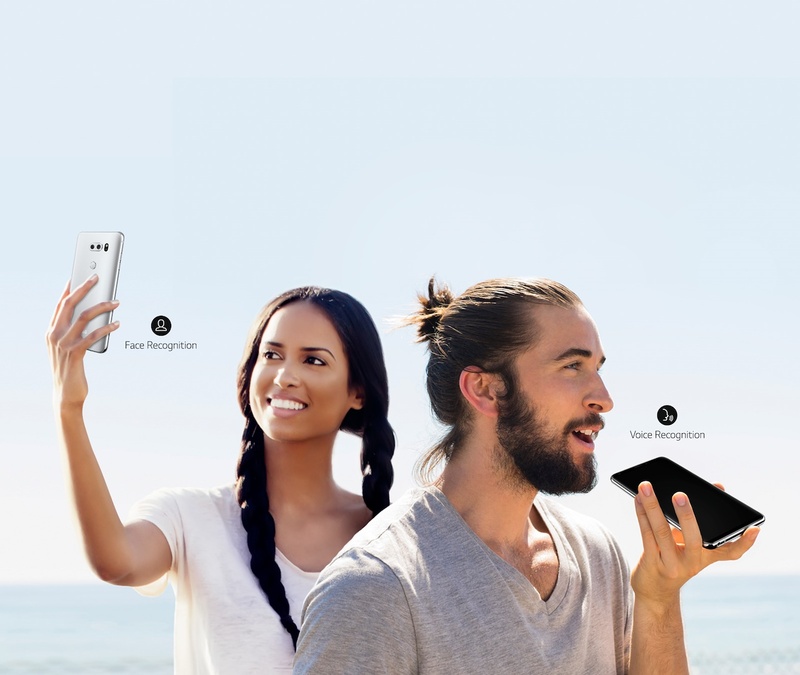 Combined with the advanced and secured Voice Recognition Technology on V30+ it has even more personalised to you. 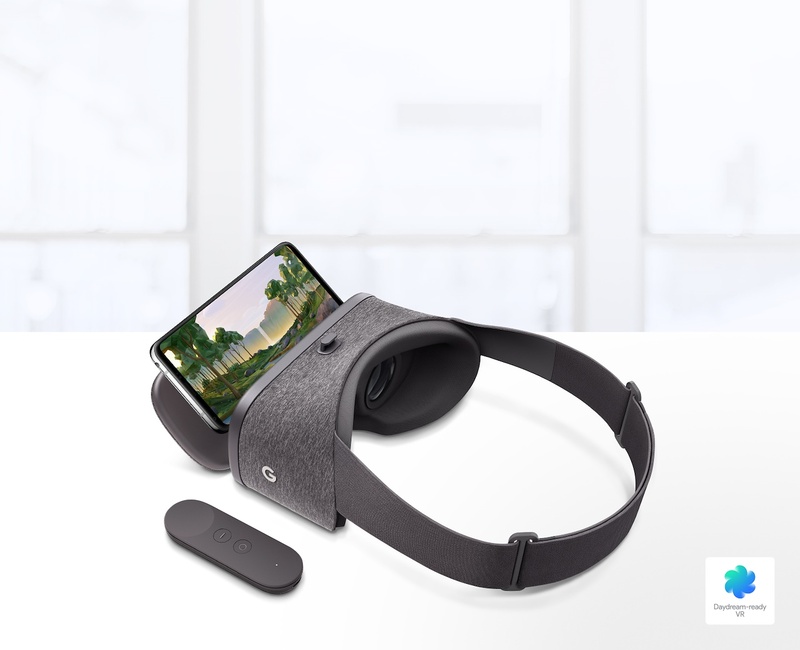 With a QHD 6.0" OLED FullVision Display the LG V30+ is LG's first Google Daydream-ready phone. Get ready for an immersive experience and enjoy your favourite VR compatible movies, games and content. 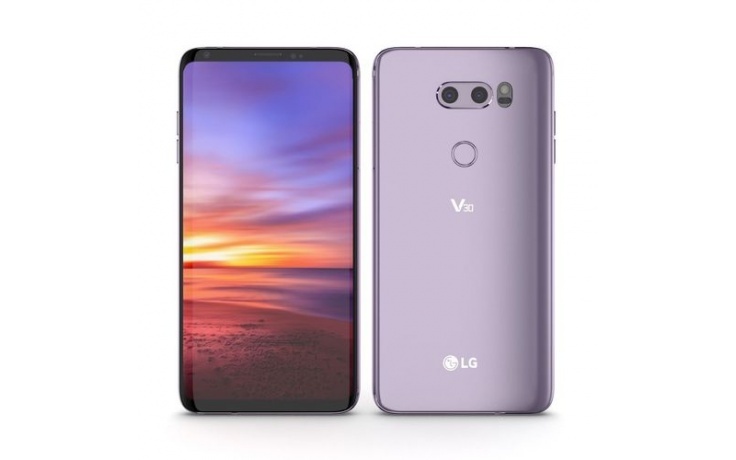 LG is offering a package worth over $100 exclusively for LG V30+ customers!! 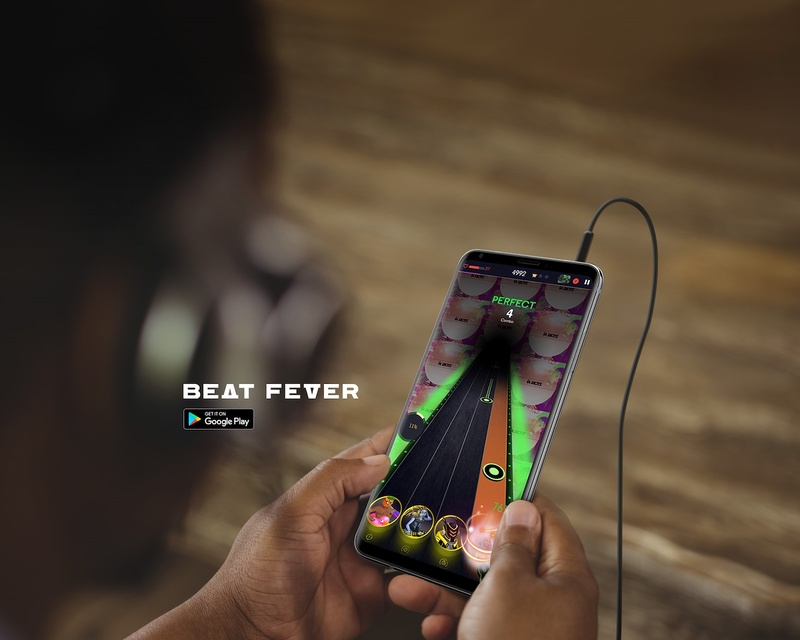 Beat Fever is a music game where you can connect, battle and compete with music fans and renowned artists along the Globe. Create your character and personalize your looks outfit etc. with custom emote animation. Featuring today's hottest hit songs, Beat Fever is a mobile music game for music enthusiasts. • Limit 1 IAP item per user(V30 user only). Valid where content available. Age restrictions apply. It's a Great Phone!! But it has its issues, like every other phone out there. Size of the phone is perfect! Battery Life is good, and removable battery is most certainly a win, Expandable storage, Camera is great and on par and occasionally performs better (wide angle & Daylight shot) than other flagships, USB type ‘C’ it's Fast in data transfer and charging!! 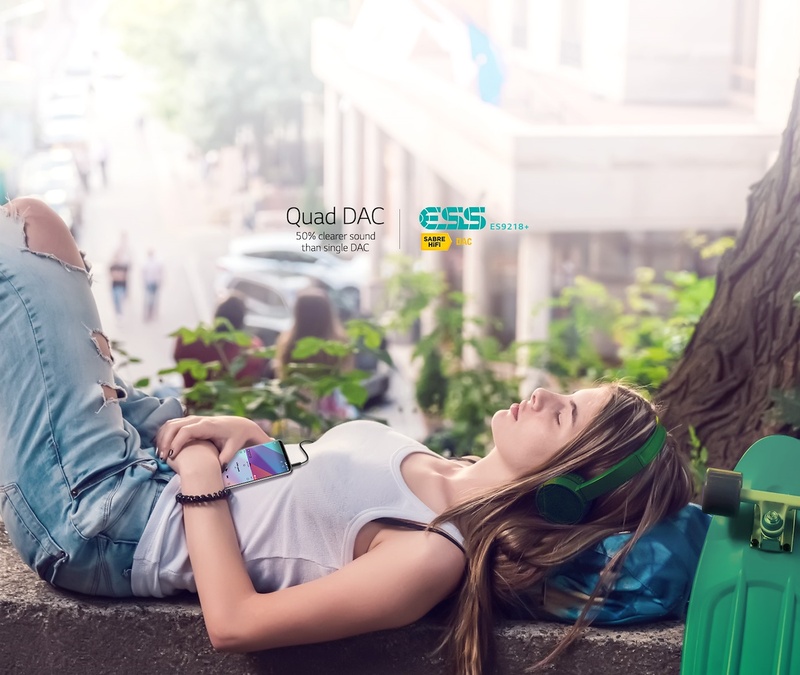 Audio quality from external speaker, and thru headphones is plenty loud and clear. The fingerprint scanner is super responsive. Performance, well with snapdragon 820 chip with 4 Gigs of RAM - it's fast and buttery smooth. The display is dull I mean you have to keep the brightness high outdoors which certainly impacts the battery life (always on display is practically not visible outdoors) Though love the option of removable battery i have my doubts on durability of mechanism.